MANILA -- The Russian government has reaffirmed its commitment to help the Philippines combat terrorism, Malacañang said Thursday. “The Russian ambassador reiterated their condolences for the deaths caused by the twin explosions in Jolo and condemned the incident while reaffirming their country's commitment to help our nation combat terrorism,” he said in a statement. 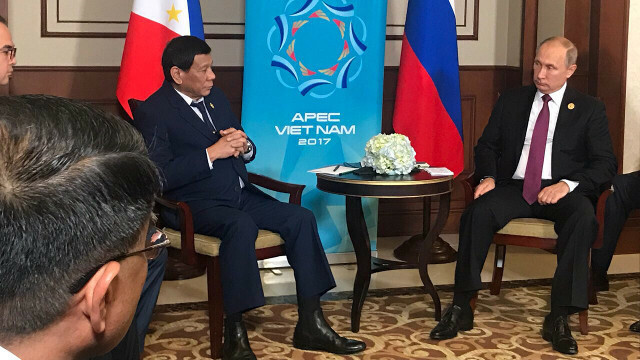 Earlier, Russian President Vladimir Putin, in a telegram sent to Duterte, stated Russia's "readiness to further step up interaction" with Philippine partners in combating terrorist threat in all its forms and manifestations. “A crime committed against civilians who had congregated for church services is shocking in its cynicism and cruelty. I expect that the masterminds and perpetrators of this crime will sustain the punishment they deserve," Putin said. "People in Russia share the grief of the victims’ friends and families and hope for a prompt recovery of the injured," he added.